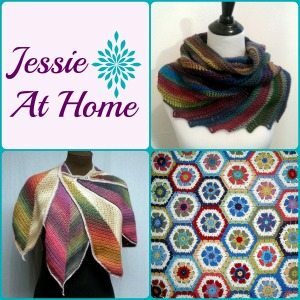 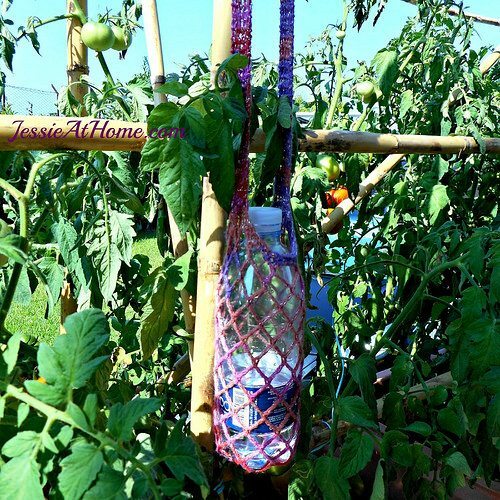 A big thanks to Jessie At Home for being such a great sponsor of Crochet Concupiscence. 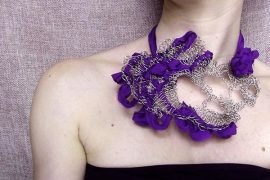 (Do you want to be a sponsor? 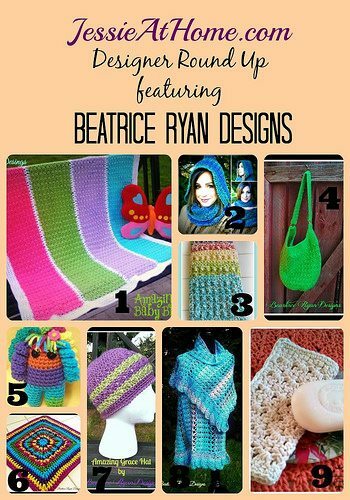 Here’s the info!) 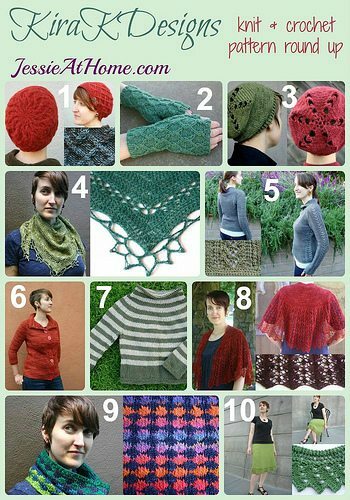 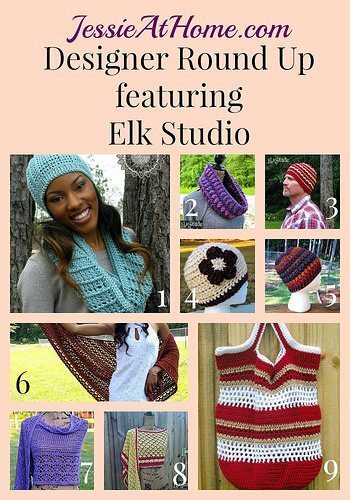 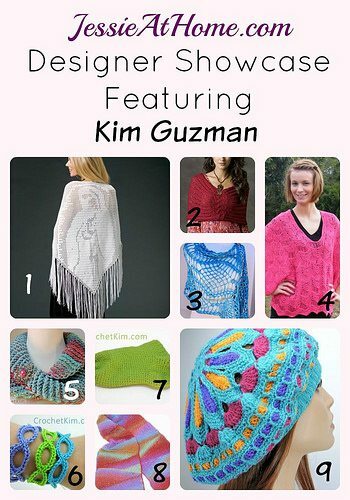 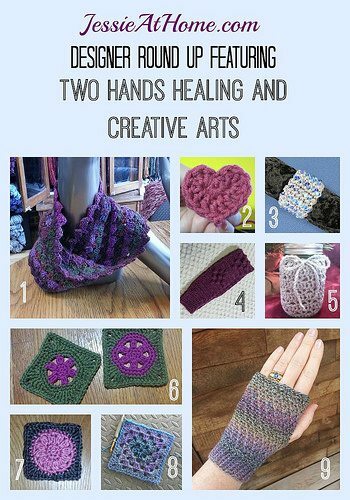 Jessie steadily puts out new crochet patterns, including many free crochet patterns, so I’ve got a new roundup of them for you here today. 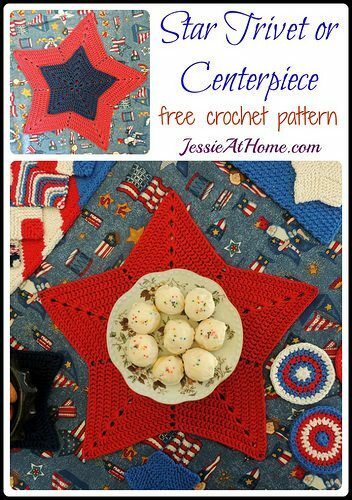 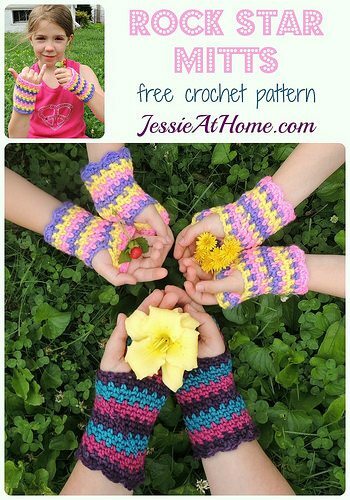 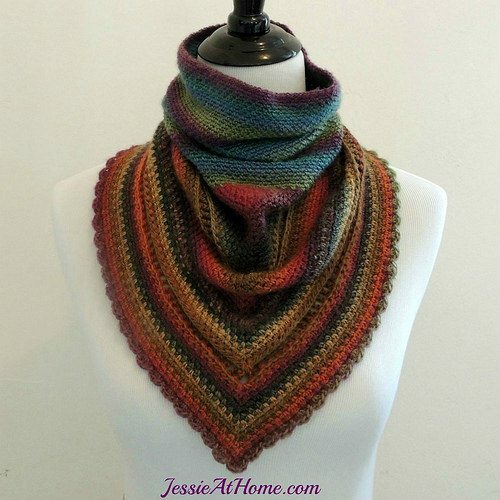 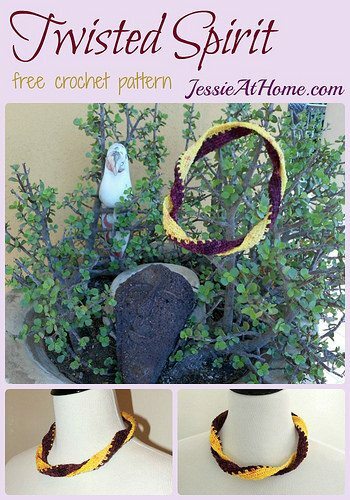 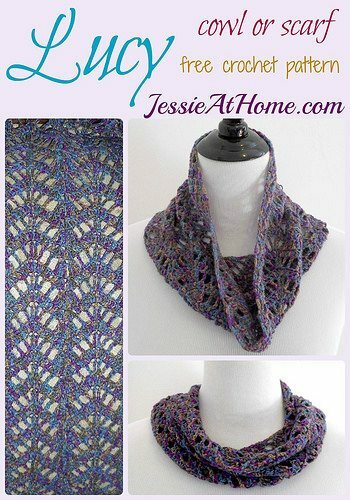 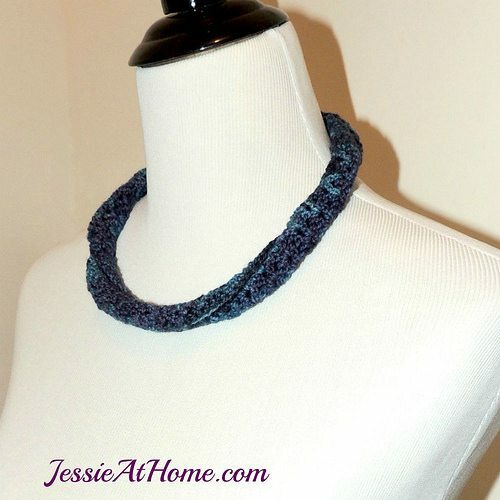 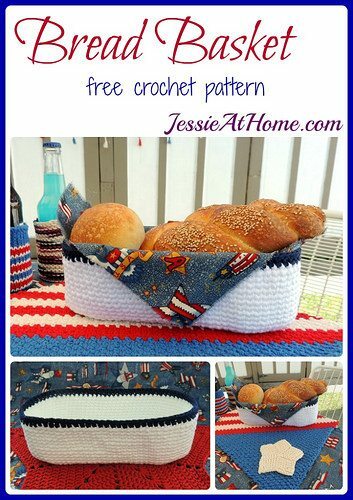 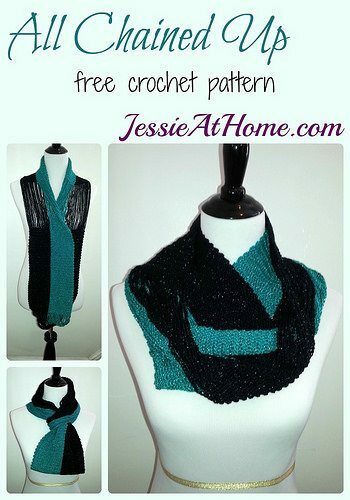 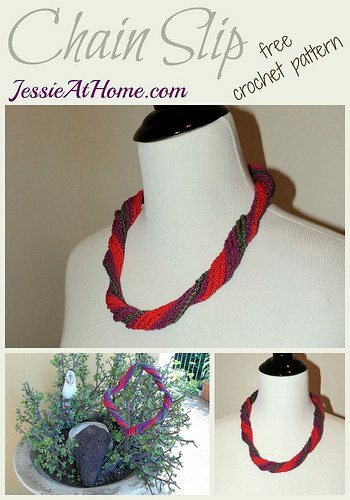 Did you know Jessie has more than 130 free crochet patterns?! 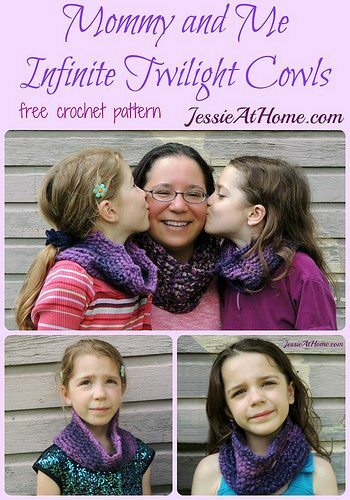 Fall cowgirl free crochet cowl pattern. 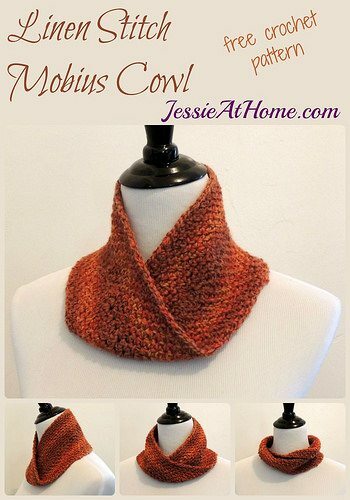 Jessie says, “Fall Cowgirl is a cowl with a small shawl attached.” She also notes that this is a crochet version of one of her popular knit patterns. 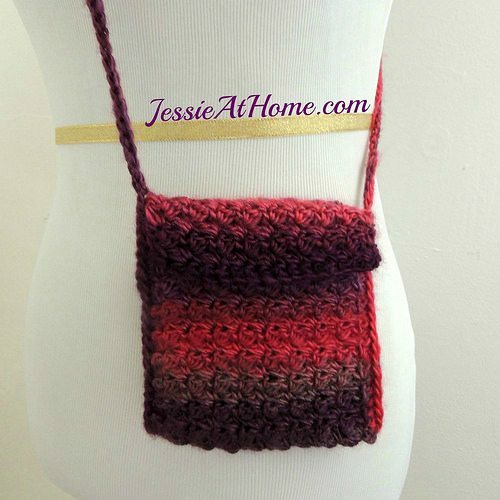 Quick little bag crochet pattern – a free pattern made with Unforgettable yarn and a size I hook, designed to hold your wallet, keys and other small items. 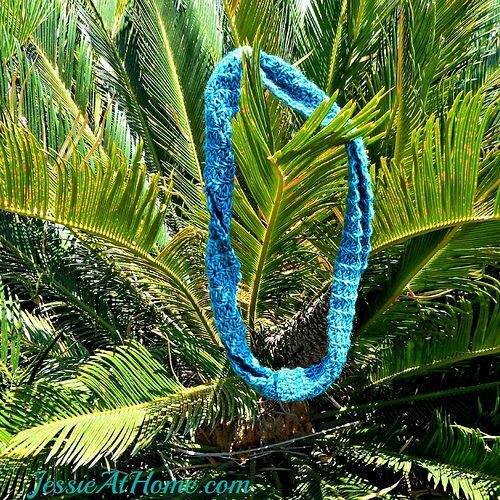 Jessie At Home shared Awesome Breastforms, which “are created by a group of women who have come together for the singular purpose of crocheting or knitting handmade prosthetics for women who have had mastectomy or lumpectomy surgery”.